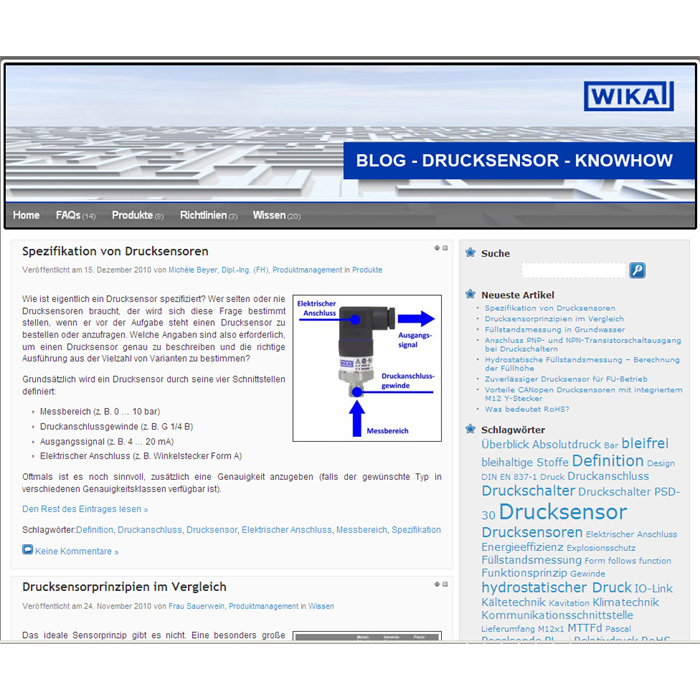 A source for practically-oriented information and tips on electronic pressure measurement has sprung up online with WIKA: in a blog with the address www.pressuresensor-knowhow.com. Here, the product managers from the relevant division write short articles on themes with which they are most-frequently confronted on a daily basis. 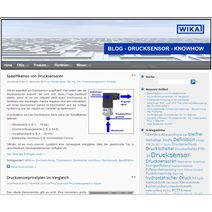 Users can find useful information on the fundamentals of electronic pressure measurement, on products and directives; and can get help and guidance with regard to application and product. 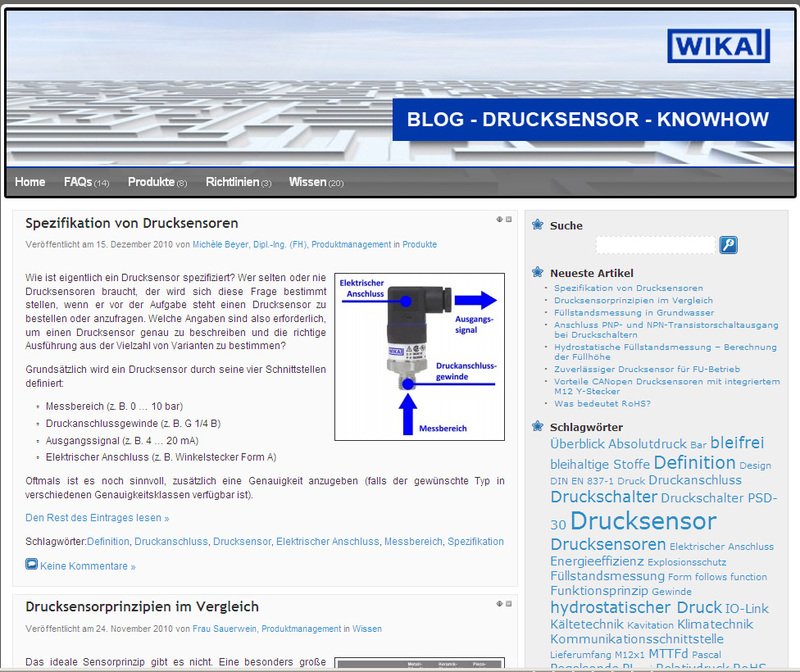 To expand this "knowledge base", the authors also appreciate comments and suggestions for topics. Anyone who always wants to be up-to-the-minute with information can subscribe to the blog on an RSS feed.